The northernmost area of the Great Northern Peninsula including the Burnt Cape, L'Anse aux Meadows, Cape Onion, Quirpon, Saint Lumiere, and St. Anthony areas. 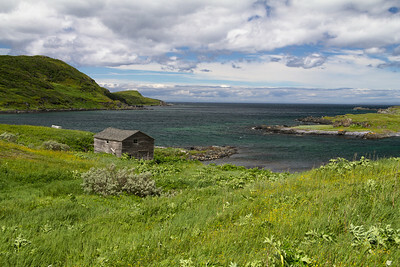 This is as far north as one can drive on the island of Newfoundland. To go further north from here one must take the ferry to Labrador. The town of Raleigh, overlooking Burnt Cape at sunset. 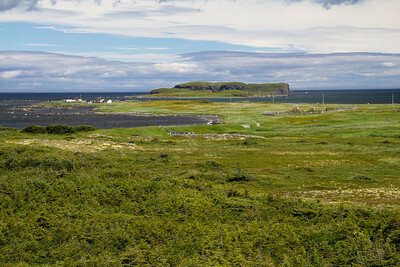 The scene at L'Anse aux Meadows, with the Viking archaeological site in the foreground (just mounds in the grass now), the reconstructed Viking buildings in the middle ground, and the village in the background on the left. 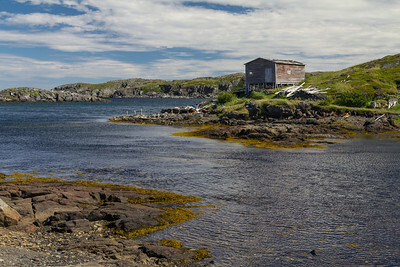 In the village of L'Anse aux Meadows. 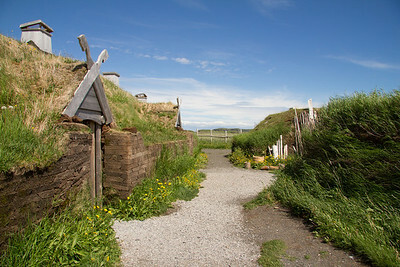 The Parks Canada reconstion of the Viking buildings using archaeological evidence both from L'Anse aux Meadows and Iceland. 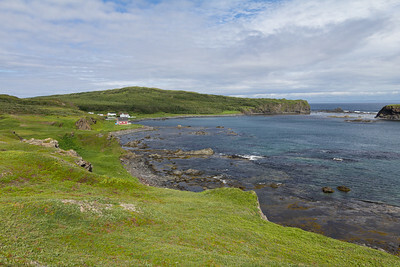 In the village of Quirpon, with Quirpon Island to the right. 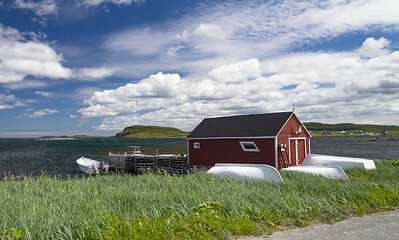 Cape Onion, with the Tickle Inn in the background, which is the most northerly B&B on the Island of Newfoundland. 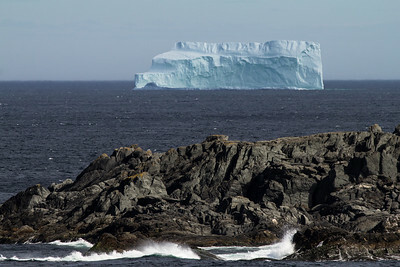 Icebergs near Saint Luniare and St. Anthony. 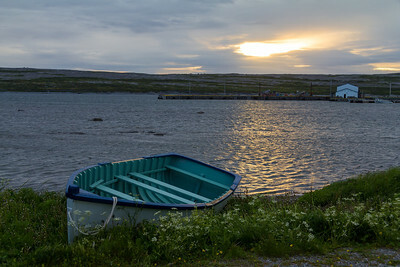 Iceberg and fishing boat near Saint Luniare and St. Anthony. 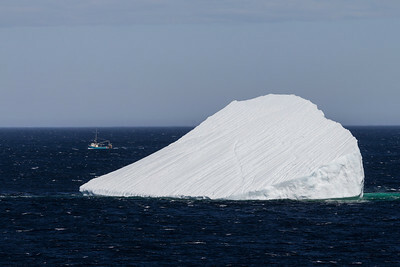 Huge iceberg near Saint Luniare and St. Anthony. 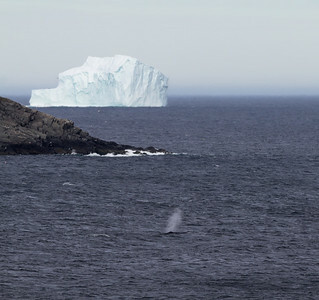 Amazingly lucky photographic moment - a whale blowing in the foreground with a gigantic iceberg floating in the background.